The CD79b molecule (B29, Igβ) is part of the CD79a / CD79b disulphide-linked heterodimer, non-covalently bound to surface immunoglobulins to form B cell receptors (BCR). The molecular weight of CD79b is about 33 to 40 kDa in reducing conditions. The CD79b molecule expression occurs early in B cells ontogeny. It is restricted to B lymphocytes, first appearing on the surface at the pre-B cell stage and remaining through all stages of B cell differentiation prior to plasma cells. 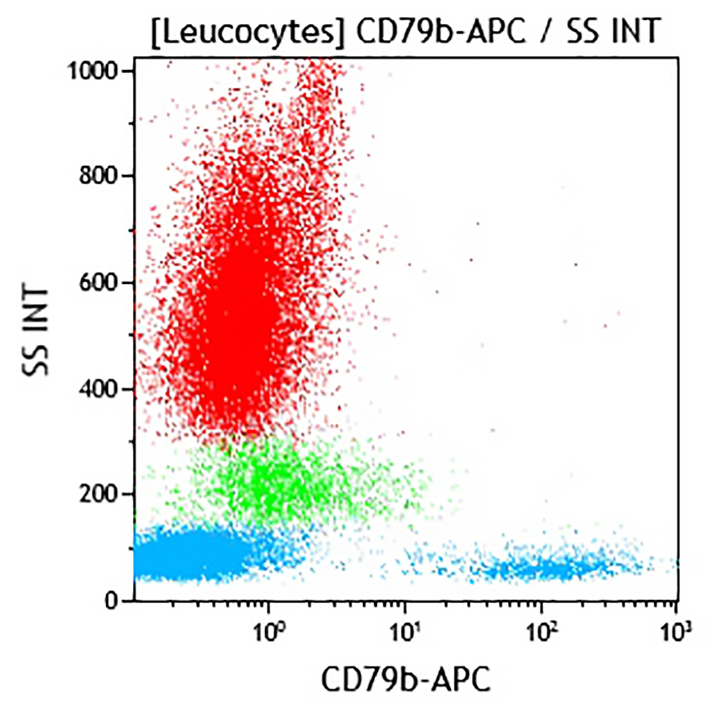 CD79b plays an important role in the regulation of antigen receptor function like the CD3 subunits do with TCR function on T lymphocytes.